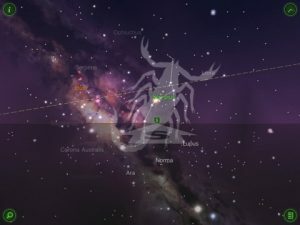 Star Walk for iPad is a visual and interactive encyclopaedia of astronomy, featuring a staggering 9,000 stars, planets and constellations. Developed by Vito Technology, Star Walk is available for both iPhone and iPad – but having tried both – the experience on iPad is far more immersive and enjoyable. 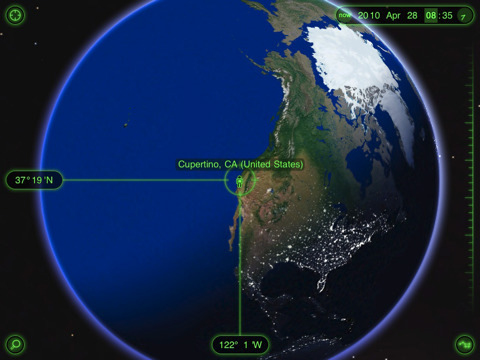 Star Walk has one numerous prizes for innovation and has also been featured in Apple’s television commercials, and it’s not hard to see why. 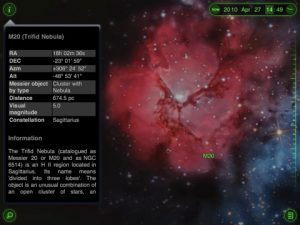 Easily the most comprehensive guide to the sky that you could possibly by for five bucks, Star Walk is a digital planetarium that you can hold in your hands. Using a digital compass, the app allows you to move your iPad in space and a live representation of that part of the sky is instantly displayed on the screen Lifting your iPad into the sky or tilting it changes the “view” and allows you to pan around the night sky, exploring a large array of celestial bodies. Once you have found an object of interest, you can simply pinch-zoom or double tap to get a closer look. 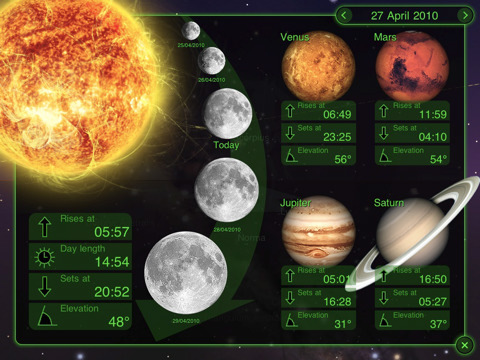 Tapping once on a particular planetary body highlights it in green, then all you have to do is tap the info icon in the top left of the screen to bring up a 3D model of the planet/body, including detailed stats such as radius, volume, gravity as well as local rise and set times. View the sky as it was at any point in time, either in the past or in the future. 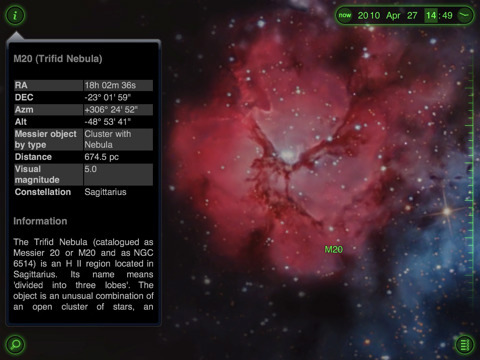 Bottom Line: Star Walk is one of those few apps that you’d pull out to impress your friends. It truly is amazing.